Run by childhood friends Adam Hillier and Joe Weller, the Croydon & Bromley branch of GreenThumb, the lawncare franchise, is this month’s winner. Congratulations to the Croydon & Bromley branch of GreenThumb, Which? Trusted trader of the month for October 2017. 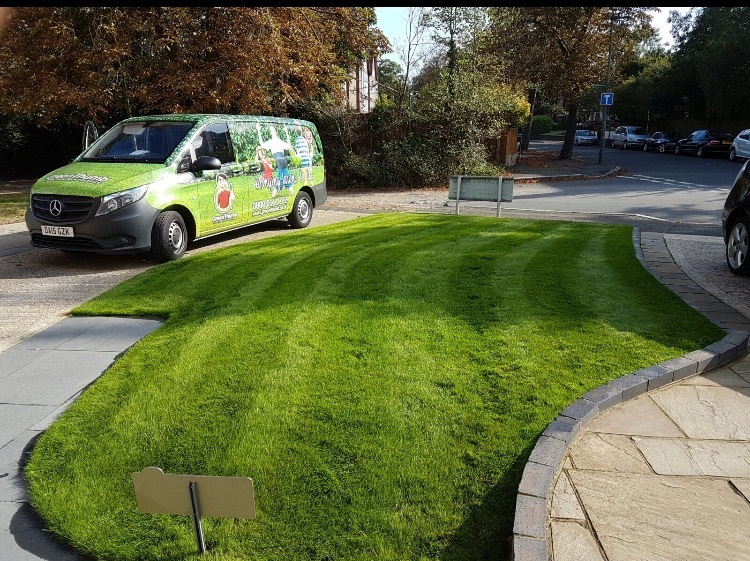 The judging panel was impressed with how the south-London lawncare specialist went the extra mile for its customers, and the huge number of reviews it had amassed on its profile page since joining the scheme in January 2017. Find out how you could be the next Which? Trusted trader of the month, or read on for more about our winning business. GreenThumb is a nationwide lawncare franchise with well over 200 branches. We spoke to Adam Hillier, who runs the winning Croydon & Bromley branch along with his childhood friend Joe Weller, to find out more about the business. Adam and Joe are natural business partners, having grown up side by side in south London, with Joe based in Bromley and Adam in Croydon. They don’t remember their first meeting, because they were too young - their mothers were friends when they were infants. As Adam says, they’ve ‘just always known each other’. Originally it was Joe who had the connection with GreenThumb, as he worked for its Bromley branch. Then in 2005, when he was only 22, the opportunity came up to buy the Croydon franchise of the business. He called on his old friend Adam, then 24 and working as a surveyor, and they joined their practical and business resources. After some initial struggles to find funding, they caught a lucky break when one far-sighted banker agreed to fund the new business. They still look after the banker’s lawn to this day, even giving him a complimentary lawn treatment when he retired to say thank you for his support. The banker backed a winner, as the business flourished, with Adam and Joe adding the Bromley branch to their franchise in 2014. It’s still a family affair, with Joe’s sister and sister-in-law working in the office, plus nine full-time staff working on lawns throughout Bromley and Croydon. There are also some temporary staff to cover busy periods. 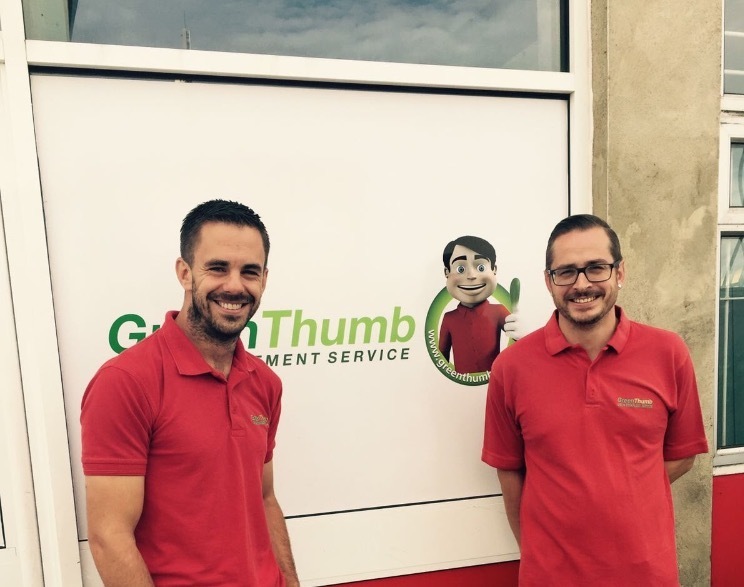 Customer service is at the heart of all the GreenThumb Croydon & Bromley team do. Adam said: ‘We pride ourselves on providing the best customer service possible. The bottom line isn’t the driving factor for us at all. A good business comes from good customer service, and our aim is to go the extra mile to ensure that. This customer care extends to shovelling snow for their customers during the winter months, and moving heavy items for elderly customers who find it difficult. GreenThumb Croydon & Bromley told us about one member of staff who has a customer in a wheelchair, who he wheels around the garden after treating her lawn so she can see the work, which she says ‘makes her day’. The level of customer service is part of why GreenThumb Croydon & Bromley has so many excellent reviews on its Which? Trusted Traders profile page. The team has more than 340 reviews, despite having been part of the scheme for only 10 months. Adam said: ‘It’s no secret how we got the reviews. We just asked our customers. We’ve encouraged our team to take the cards out and ask our customers to fill them in and review us on the Which? Trusted Traders account. Adam told us that being a part of Which? Trusted Traders has been a real boost to GreenThumb Croydon & Bromley. ‘It’s great having a brand like Which? behind us, and it gives customers peace of mind that the service we provide must be up to a good standard. Adam said that he, Joe and the team are delighted with the win. They want to keep working hard and, as they often walk more than 10 miles a day in their wellies, they’re planning to celebrate by buying some comfortable gel insoles. Many congratulations to GreenThumb Croydon & Bromley from all at Which? Trusted Traders, and enjoy the extra padding on your feet.